Create something unique for your phone. Design a personalised phone Samsung S10 Plus case with your own images and designs. Our personalised hard case is personally made by you. A personalised phone case Samsung S10 Plus from GoCustomized is a unique way to stand out from the crowd. Your unique creation will be printed on both sides of the case, as well as the back.This allows you to create something unique for us to print on our personalised phone cases, just for you. The case itself is made of a hardened, durable plastic which ensures your phone is protected from all bumps and scratches. Designing a personalised phone case ensures your phone will last longer and be protected. Don’t risk dropping your unprotected phone, and design a custom case now! 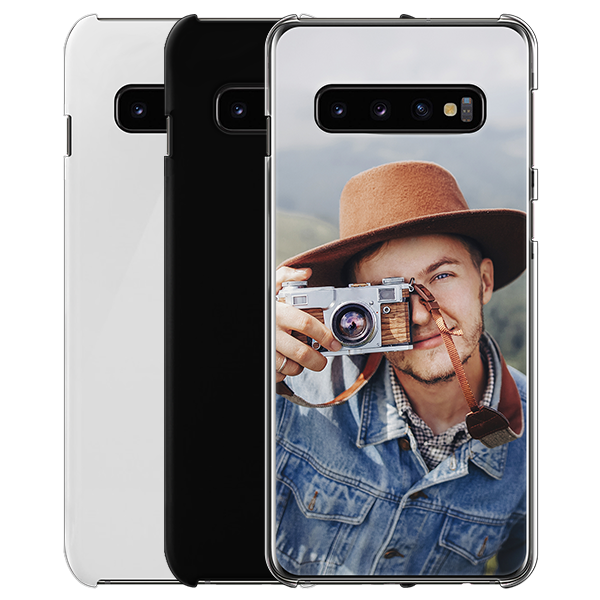 How do I design my personalised phone case Samsung S10 Plus case? We have made the process easy and simple. We have created an easy-to-use customiser which allows for simple creation of our personalised phone case Samsung S10 Plus. Upload your favourite image from Facebook, Instagram, your PC, or your mobile device. Lacking inspiration? No worries, you can choose one of the designs from our collection made especially for you. Position your image or design the way you want it to be printed. Add a personal quote or text to finish it off using our text module. There are plenty of fonts and colours to choose from! Who knew designing phone cases was so much fun! 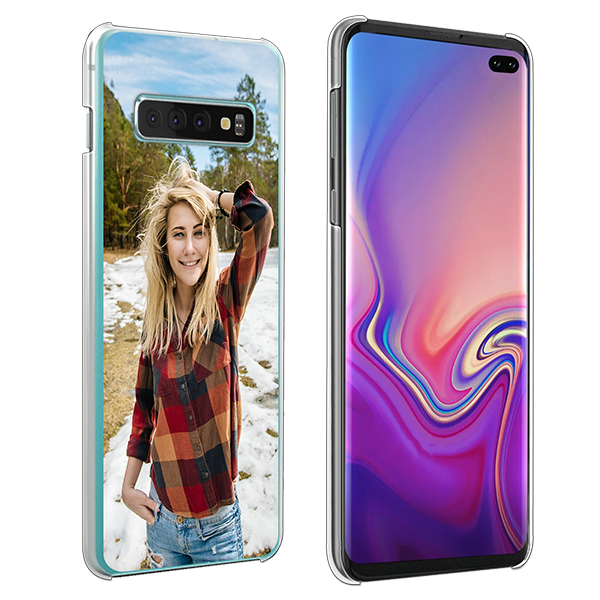 Once you have finished designing your personalised phone case Samsung S10 Plus, we will start the production procedure! We want to send you your case as quickly as possible, but we do want to ensure the quality of your personalised case. Everything we produce is made by one of our production experts. Every design is checked to make sure that you will be pleased with the end result and it is the way you wanted it. If we find a problem with one of your personalised phone cases, we will contact you with possible solutions. If you would like to contact us, you can always check our FAQ page or contact our customer support. They will be happy to help you!